When you hear the word “subcompact” you probably think of something small, miniscule, or tiny. Put the word “car” after it and you would think you’re getting a car that you will have to have your knees pressed against your chest and your head touches the ceiling. 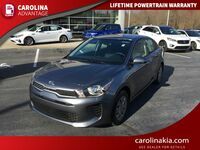 Well, if that’s the case, you are going to be quite surprised when you get behind the wheel of the 2016 Kia Rio in Greensboro NC. This might be a subcompact car, but there is nothing subcompact about it. If you have seen the Kia Rio in the past, you might notice a few subtle changes to the 2016 Kia Rio in Greensboro NC. The first is that the front and rear fascias have been redone, and now feature a more geometric shape similar to what you will find on other Kia vehicles. The lights have also been slightly repositioned to give the vehicle a more aggressive feel. 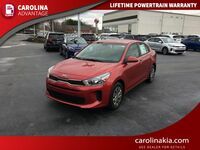 Now we know that the 2016 Kia Rio in Greensboro NC is a subcompact car, but does 88.4 cubic-feet of interior passenger volume sound subcompact to you? Sounds like plenty of room for the driver and passengers, and there is still 13.7 cubic-feet of cargo space available in the trunk. 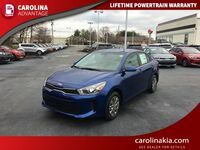 When you are telling your friends and family about all of the things you love about the 2016 Kia Rio for sale in Greensboro NC, we highly doubt you will be mentioning anything about subcompact. 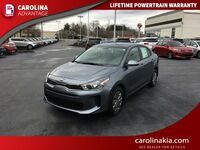 You will also find plenty of great comfort options available in the 2016 Kia Rio for sale in Greensboro NC. With leather and heated front seats available, you can relax in comfort while driving your new Rio. The standard woven cloth or premium knit cloth seating trim is also plenty to keep passengers comfortable. 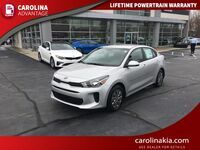 While you are relaxing in your brand new 2016 Kia Rio in Greensboro NC, there will also be plenty of great Kia technology inside for you to use. The UVO eServices infotainment system is available in select trims which allows drivers to stream music, make phone calls, send messages and more, all while safely operating their vehicle. Another option that can go with the UVO is the voice-command navigation system with a 7-inch touch screen display. There is plenty of other enjoyable technology to be found in the 2016 Kia Rio in Greensboro NC. A push-button start with Smart Key can be found, as well as a rear-camera display, steering wheel-mounted audio and cruise control buttons, and much more. 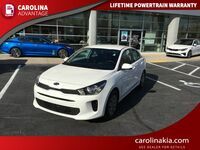 For full details about the 2016 Kia Rio for sale in Greensboro NC, please contact a Carolina Kia sales professional!